At BVB Italia is active a TQM quality management system according to UNI EN ISO 9001:2008. Through is process, the whole company activity is structured according to quality criteria able to ensure the reliability and highest quality of the products as well as a service of the highest level. 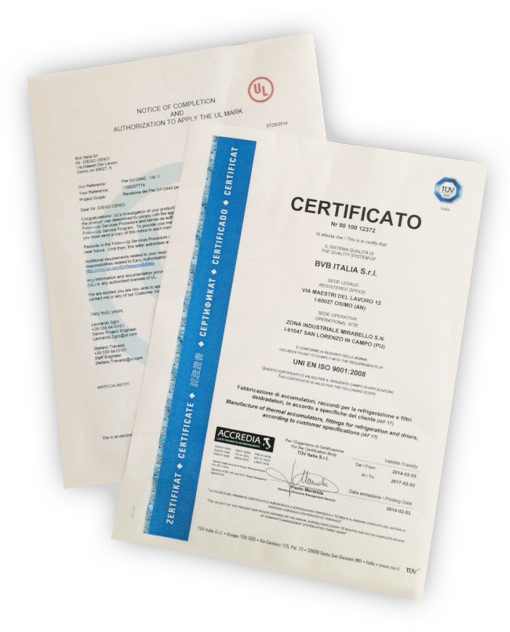 BVB Italia has also got international quality awards such as the "UL" brand which certifies the compliance of our products to the criteria for making the USA.